A new Joint Industry Project (JIP) to establish an industry-wide BOP Reliability Database recently formalized the initial phase of work. The ultimate aim is to produce a single source of quality information on the performance of BOP systems. The JIP was initiated jointly by the International Association of Drilling Contractors (IADC) and the International Association of Oil and Gas Producers (IOGP). Participating companies include oil & gas producers, drilling contractors, and equipment manufacturers. “The JIP has been designed as a unique collaborative program with the objective of gathering high quality, industry-wide, statistically significant data to improve the industry’s approach to BOP maintenance and integrity management and to feed field experience back to designers,” says Patrick Toutain, IOGP Safety Director. Participants include the ‘Group of 7’, Ensco International Incorporated, Noble Drilling Services, Inc., Diamond Offshore Drilling Inc., Transocean Offshore Deepwater Drilling, Inc., Seadrill America, Inc., Pacific Drilling Services, Inc., and Maersk Drilling USA, Inc. Also included are the three primary manufacturers and suppliers of BOP systems, Cameron, GE Oil & Gas, and NOV; and operators, including Anadarko, BP, Chevron, CNOOC/Nexen, Kosmos, Petrobras, Shell, Statoil, ExxonMobil and Total. Each participating company in the JIP has a seat on the Board of Directors, which met yesterday in Houston. One of the Board’s first items of business was electing an Oversight Committee to handle day-to-day operations of the JIP. The Oversight Committee elected today include contractors Diamond Offshore, Ensco PLC, Noble Drilling, and Pacific Drilling; producers include BP, Chevron, and Statoil; and all three manufacturers and suppliers. IADC will act as project coordinator. The JIP is building on a database originally developed by the Group of 7. The database will support BOP system reliability, integrity and availability assessments; monitor BOP component reliability performance trends over time; support improvements in BOP testing and maintenance decisions and support long term improvements in BOP system design. After more than 2.5 years of exemplary service, Taf Powell, IADC Executive Vice President, Policy, Government and Regulatory Affairs will retire from IADC at the end of March. Mr. Powell has a long and distinguished career in petroleum and topsides engineering for upstream E&P. His early career includes experience as a drilling engineer and drilling project manager. He joined the Health and Safety Executive in 1992, serving a variety of roles over 21 years, during which time he introduced safety case regimes and new key UK programs focused on regulatory priorities. In 2005, he was appointed to the Buncefield Independent Board of Investigation as Chief Inspector for the Board of Investigation. In 2011, he joined the European Commission as an expert advisor for offshore drilling and production. In that role, he was responsible for delivering EU-wide legislation for offshore safety, environmental protection and financial liability. “I’ve had a great time in IADC, and learned a great deal, I consider myself fortunate to have worked with many highly capable colleagues who are also excellent people, and whom I shall miss. And it has been, perhaps, the greatest privilege of all to serve this great industry at its front line, and to have the chance to make some advance towards the recognition this industry deserves for its contribution to the wealth and welfare of the world. I shall always strive for that recognition,” said Mr. Powell. IADC recently issued an updated edition of the Federal Regulatory Actions Impacting Offshore Drilling Contractors report. Released semi-annually, the report details federal regulatory actions that could impact offshore drilling. The report reflects regulatory actions announced in the Federal Register or other available sources through December 2015. Federal Regulatory Actions Impacting Offshore Drilling Contractors can be accessed at IADC’s website. In March of 2015, the US Bureau of Land Management issued a hydraulic fracturing rule, which aims to regulate oil and gas production activity on public and tribal lands. IADC, along with other industry groups, has questioned the necessity of the rule, arguing that it will only increase costs and regulatory redundancy, ultimately impacting America’s long-term energy security. The rule includes requirements that replicate controls already in place. The existing requirements themselves enshrine the good oilfield standards that industry has routinely practiced for many years and continuously improves on. The BLM estimates that the rule will impose additional annual costs of $32 million, with other entities estimating a much higher expense. In early January, a federal court in Wyoming rejected attempts by government lawyers to speed up litigation on the BLM ruling. Currently, the case focuses on whether the Department of the Interior, which oversees the BLM, had the authority to make the ruling and whether the rulemaking was improper. As the case makes its way through the court system, current regulations apply as industry awaits a resolution. The United States Coast Guard recently issued two bulletins, both regarding cybersecurity, which are of interest to the drilling industry. Maritime Cyber Bulletin 003-16 raises awareness of recent malicious cyber activity in the maritime domain and provides further information about the events. It provides an overview of current Joomla vulnerabilities being targeted by malicious cyber actors and provides prevention and mitigation information. Maritime Cyber Bulletin 004-16 highlights vulnerabilities in certain models of shipboard voyage data recorders. It provides an overview of the vulnerabilities and provides mitigation and remediation information. Both of the bulletins can be accessed via the US Coast Guard’s website. The IADC Houston Chapter awarded 25 students from four Texas universities with scholarships for the 2015/2016 school year. Each student was selected by their university to participate in the IADC interview process, and awarded the scholarship based on their overall GPA in engineering or related studies, leadership skills, internship experience and overall interest in the oil and gas industry. 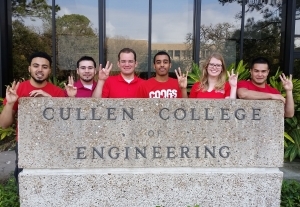 Students selected attend Texas Tech University, Texas A&M University, The University of Texas and the University of Houston. Money for the scholarships is raised from the Houston Chapter’s annual golf tournament and other local events throughout the year. For the 2015/2016 school year, the chapter raised $84,000 for the fund. For more information about the IADC Houston Chapter, please visit the IADC website. 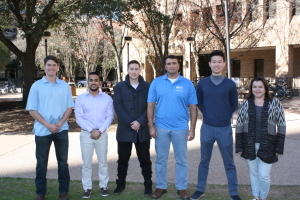 University of Houston students Anas Ebrahim, Daniel Rodriguez, Spencer Richards, Hamdi Sherif, Megan Wood and Willians Padilla receive IADC Houston Chapter scholarships. 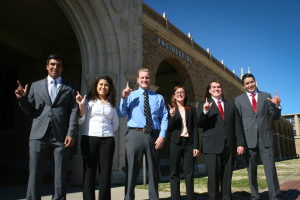 Texas Tech University students Ernest Munoz, Alondra Guevara, Voigt Hansberger, Marissa Smart, Ryan Bratton and Marco Moreno receive IADC Houston Chapter scholarships. 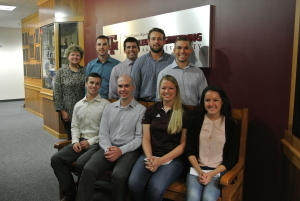 Texas A&M University students Trey Tomlin, Blake Hermes, Clifton Harlin,Hunter Drozd, Clayton Cox, Andrew Wlazlo and Courtney Brown receive scholarships. West Virginia governor Earl Ray Tomblin initiated the Oil and Natural Gas Safety Commission in July 2015 to determine how to best protect workers at natural gas operations and ensure they have proper training and skills to do their jobs safely and effectively. IADC was invited to present before the Commission in September 2015, and cited the association’s history of developing industry training and accreditation programs. This month, the Commission published a report detailing key findings and recommendations. Those involved concluded that while existing regulations and best practices are helping to improve overall safety, more can and should be done, including added safety practices and training. The Commissioners agreed that education, training and prevention are the best approaches to ensuring a safe workplace. The West Virginia legislature is currently in session and is considering updates to the horizontal well rule. The amendments propose creating new regulatory requirements related to drilling activities in karst regions; drinking water well flow and quality testing; and horizontal well plugging procedures. Additional revisions establish or modify existing rules in the following areas: prevention of well communication through unintended fracture propagation; well pad and centralized waste pit construction standards; groundwater aquifer analysis for water supply well; annual and other reporting requirements and waste storage and drilling procedures. IADC continues to monitor the ongoing discussions in West Virginia. For more information, please contact Liz Craddock at elizabeth.craddock@iadc.org. Weatherford Drilling Internationl (BVI) LTD: 40 (2); 102 (3); 144 (14); 147 (3); 150 (2); 155 (16); 157 (2); 160 (4); 161 (2); 172 (5); 798 (1); 807 (2); 811 (4); 832 (4); 844 (5); 870 (3); 889 (2); 890 (1); 891 (1); 892 (1); 893 (1); Egypt Support Team (4); Hoist 875 (1); Hoist 92 (2); KSA SUPPORT TEAM (3); Kuwait Transport Team (14). Weatherford Drilling International (BVI) LTD: 40 (2); 147 (3); 155 (3); 157 (1); 158 (2); 161 (2); 171 (5); 172 (1); 174 (3); 797 (3); 798 (1); 811 (2); 843 (2); 844 (1); 871 (2); 890 (1); 891 (1); 892 (1); 893 (1); Chad Support Team (3); Egypt Support Team (6); Hoist 875 (3); KSA SUPPORT TEAM (3); Kuwait Transport Team (2). YOAKUM TECHNICAL CONSULTING LLC, HOUSTON, TEXAS, USA.